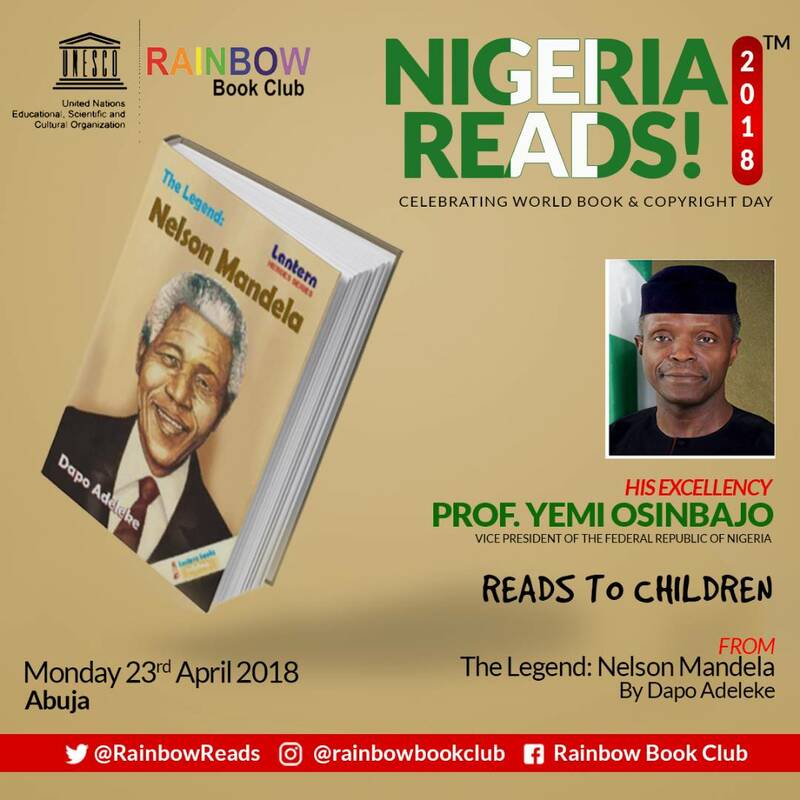 To celebrate the UN World Book & Copyright Day, the Rainbow Book Club (RBC) is organising a reading programme on the 23rd of April 2018. His Excellency, Vice President of the Federal Republic of Nigeria, Prof. Yemi Osinbajo will read to students in a public primary school in Abuja, in company of the RBC founder, Mrs Koko Kalango. He will be reading from The Legend Nelson Mandela by Dapo Adeleke. The Rainbow Book Club (RBC) is an NGO that was founded in 2005 to promote reading for personal and social development in Africa. Our work culminated in Port Harcourt being nominated UNESCO World Book Capital 2014. Obi Ezekwesili chairs the board of trustees. RBC, an official UNESCO club, is part of the Rainbow Foundation. RBC kicked off the ‘Get Nigeria Reading again!’ Campaign in 2005 with Chimamanda Adichie and since then has enlisted the participation of high profile authors, captains of industries, government officials and celebrities to create awareness of the correlation between reading and building a successful nation. The organisation has run over 200 book clubs in primary and secondary schools, set up 13 libraries, organised trainings for over 500 book club facilitators, organised over 42 reading and writing exercises to groom upcoming writers and published some of them. 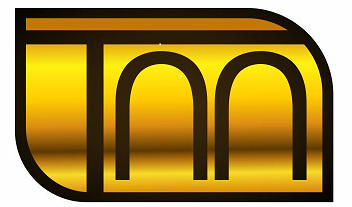 They have also promoted established writers. The Rainbow Book Club has organised the Port Harcourt Book Festival (formerly the Garden City Literary Festival) since 2008. "we believe that there is no better time to build the character of individuals than as children. We believe that any form of impact has to start from the foundation that is why we channel our energy into activities that mould the minds of young people. In 2008, RBC began to get leaders in various spheres of society to read to and interact with children over carefully chosen books. Through this initiative, RBC inspire children as they listen to the stories and the readers share how books have shaped their lives. We have worked directly with over 10, 000 children from over 100 schools. We seek to encourage people to read for human capital development. This is key when we select books for our programmes. Our team is always in search of books that are relatable, inspiring, challenging, informative and packed with morals." The Legend: Nelson Mandela is a story that contains these qualities mentioned by Kalango. It ensures that every reader is informed and inspired, from understanding a part of South Africa’s history to inspiring one's quest for change in their communities. It is noted that readers in the past have included the Rev. Jesse Jackson, Nobel Laureate Wole Soyinka, Chief Emeka Anyaoku, Oby Ezekwesili, Governors, Ministers, Ibinabo Fiberesima (President, Actors Guild of Nigeria), Tonye Cole (CEO, Sahara Group), Mr Charles Gbandi (HR Operations Mananger, SHELL), Mrs. Lulu Briggs (Executive Director, Moni Pulo Ltd), Burna Boy, Timi Dakolo. Honorary members of the Rainbow Book Club include; Bishop Mathew Kukah and President Goodluck Jonathan. Partners on this project include SPDC, TOTAL, MTN, NBC, British Airways, Air France, GTB, ACCESS Bank, UBA, British Council, Alliance Francaise and the Association of Nigerian Authors.